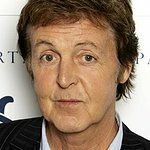 Sir Paul McCartney has lent his support for a campaign to save sea turtles from being farmed for food in the world’s last commercial farm in the Cayman Islands. 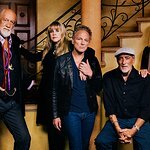 He announced his support last week with a news story on his website, calling for fans to support the World Society for the Protection of Animals' (WSPA) campaign to stop sea turtle farming at the Cayman Turtle Farm, in the Cayman Islands. An investigation conducted by WSPA has revealed disturbing evidence of animal cruelty, along with massive conservation and financial failures at the Cayman Turtle Farm. Despite marketing itself as a conservation focused tourist attraction, the Cayman Turtle Farm is the world’s last remaining facility that commercially raises sea turtles for slaughter and consumption. Some 7,000 endangered sea turtles – accurately portrayed in Finding Nemo as peaceful animals that travel thousands of miles across oceans – have been effectively immobilized and stockpiled in filthy, tiny tanks for so long that they have begun to cannibalize each other. The shocking images documented during WSPA’s investigation show widespread problems at the tourist attraction that also commercially factory farms thousands of turtles for human consumption under the banner of sea turtle conservation. Stress from overcrowding turns these gentle animals into cannibals and WSPA staff saw turtles with fins entirely chewed away. In-breeding causes turtles to be born with massive deformities, such as no eyes; these young animals have no chance at life at all. WSPA Wildlife Campaign Leader Dr Neil D’Cruze said: "The farm itself reports that demand for turtle meat has halved, possibly due to waning interest. The galling backdrop to this large-scale suffering is that of the 31,000 turtles the farm says it has released since 1968, only 133 have been released in the last five years and in over 40 years only 11 farm-tagged turtles have actually made it back to the beach to nest.